NationofChange is a nonprofit organization. Learn more. 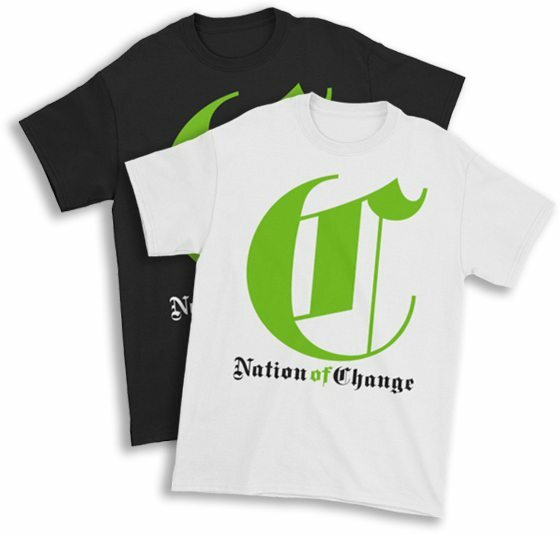 Donations of any amount are welcome, but as an added bonus, if you donate $50 or more, you can choose to receive the NationofChange classic t-shirt as our gift to you. After your donation, please email us at info@nationofchange.org with the size of the shirt (S–5XL) and color (white/black) as well as the address where you would like the shirt sent to.